The Upcycling Challenge provides an opportunity for sustainable designers to gain international attention, and to encourage designers who are currently not using sustainable practices to give it a try. The Challenge also promotes EFWA’s mandate to Reduce, Reuse and Recycle garments rather than have them sent to a landfill. Note – this challenge is only open to ‘new submissions,’ and former participants are excluded. EFWA fashion stylist Dalija Valhjov, will be receiving the garments, setting the show order and doing the model fittings/show styling this year. “We’re so excited to have Dalija play such an intricate part of the challenge this year,” said Wilson. Your runway look MUST be created from used men’s dress shirts. You can get them from Op Shops (Thrift Stores), from the closets of family and friends or discards from some other source. Use of any other fabrics needs to be pre-approved and they must also be recycled/upcycled fabrics. Please send a drawing of the look you would like to create (a black and white line drawing is fine) as well as a brief description of your inspiration and the garment itself to contact@ecofashionweekaustralia.com. PLEASE NOTE Upcycling Challenge Submission in the subject line. An entry fee of $80 USD must be paid by July 30, 2018. This covers all costs to pick up your package from the post office as well as the costs of packaging, postage fees and delivery to the post office to return the garment to you after the show. All shipping fees to send your garment to Australia. Twenty looks will be hand-selected by an EFWA panel. Please go over the deadlines carefully to make sure you are able to meet them. Any garments that do not arrive in time will not be included in the show. Eco Fashion Week Australia is proudly supported by Douglas Shire, Tourism Tropical North Queensland, Business Events Cairns & Great Barrier Reef, TheBahamasWeekly.com, Eluxe Magazine, Olio by Marilyn, Style Drama, Dowerin GWN Machinery Field Days and Loig’s Music Lab, Dene Selby Modeling Agency, Xpression Models, Claire Hair Boutique, Jane Milburn, Notre Dame University, The Beauty Room, Boos Makers, QT Port Douglas,, ECU University, and Curtin University. Marilyn R. Wilson is a freelance writer, published author and speaker who has been covering the fashion scene for over 12 years. 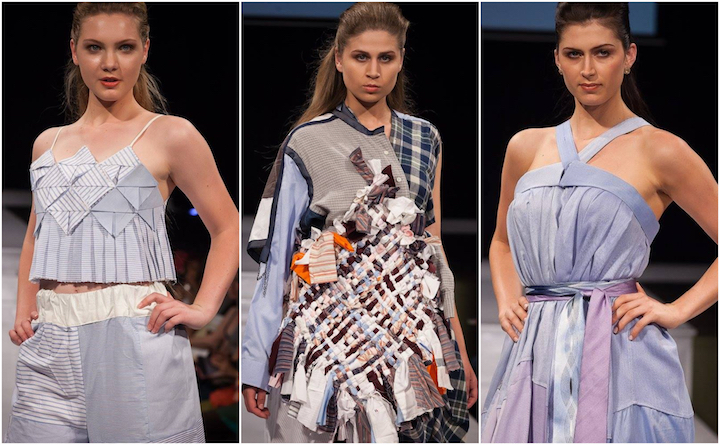 Her involvement with Eco Fashion Week Australia’s first season in 2017 included social media, designer and EFWA team interviews and creating the first ever EFWA Upcycling Challenge by Marilyn R. Wilson which featured the work of 21 designers from 12 countries.